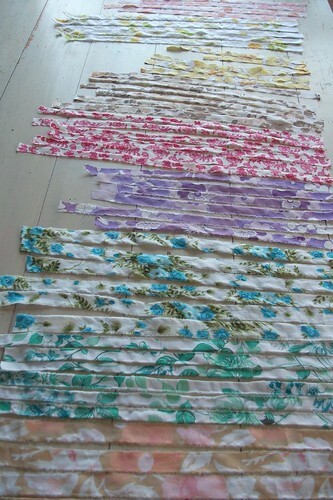 much delight and pleasure was gained from ripping these fabric strips! really you have to try it. Make a small cut to begin the rip and then rip away. I wanted to make something colourful for my living room. It's still in need of jollying up. I have all these lovely vintage sheets and have been thinking about projects I can do with them. 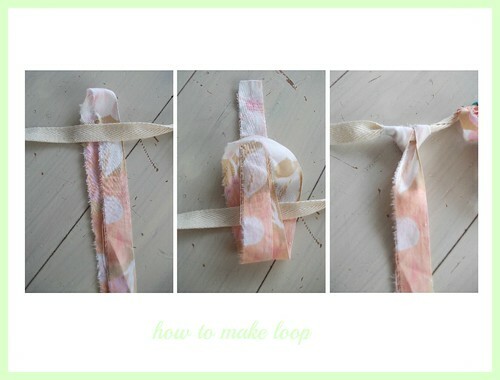 You can attach the fabric in several different ways. I tied mine as though I was beginning a bow. This creates a fuller, bouncy effect. You could also loop the strips through like this. This creates a flatter more uniform effect. Good for tieing around a pole or hoop. 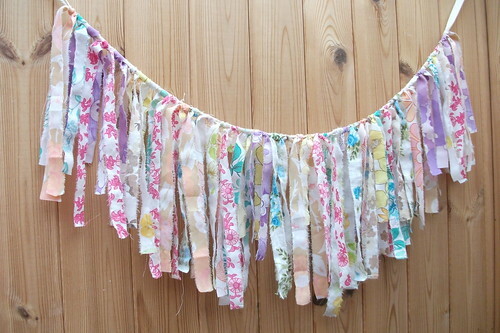 Just think how nice this might be for a celebration or birthday, strung across the room, perhaps with really long strips. Or satins and silks or lace. The possibilities are endless! Have a look here, here and here. And have a look a this for a great fringe and canopy idea. I like the way the lights have been added too. So pretty, could be a lot of fun in a children's room. Or mine! Great and with a lovely eye impact!!! Love it, becausr it's extremely simply and beautiful!! Wat leuk zeg gemaakt, super idee! That is lovely! I never would have thought about doing that! I'm more of a paper ripper, I love ripping and sewing on paper... I wonder if I could get bits of pink and do this and make a tutu for my daughter? I know that you're meant to use tulle and she's had a few of them, but it would be so darling hanging up for display. Oh Heather, I think you made this post, just for me. The first photo got me all excited. "What is she going to do with those?" Then the simplicity of the project. "I can do that!" Followed by your many different ideas. "Hey! I have a branch!" Now I am going to dig in the fabric stash to put together a Halloween curtain for over the door. Thanks for the inspiration. Really cute. 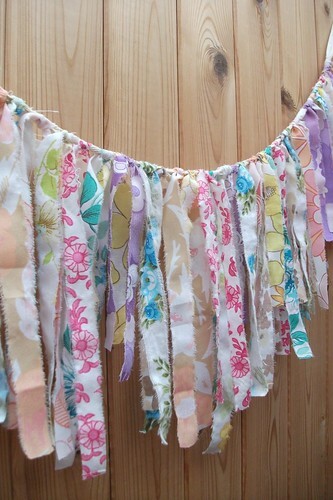 I am planning on making something similar but with Christmas fabric. Really adorable. 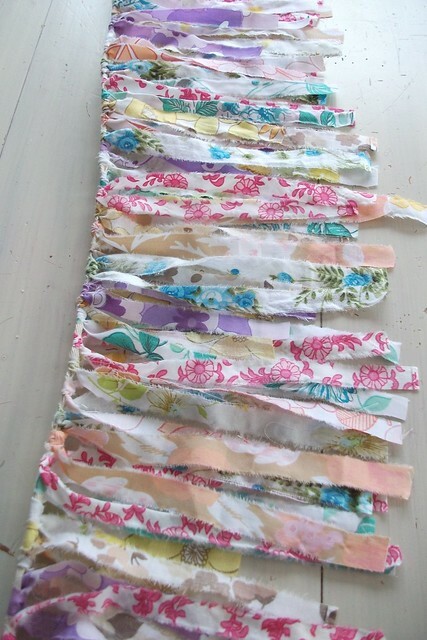 What a cute idea, and such beautiful fabrics. I think you definitely need to make a canopy for your bed ... how gorgeous would that be to wake up to every morning?